The Endless Meal saw about a 20% growth in traffic over September. Yippee! The reason for the growth is likely due to an additional post being put up (6 in October vs 5 in September) and the popularity of the Flourless Peanut Butter Cookies post. I wanted to show you where the traffic was coming from in October specifically so you could have a look at number 5 on this list. I think it's easy to think that the two big food sharing sites (Foodgawker and Tastespotting) are the only ones worth your while. While they do drive a lot of traffic my way, Finding Vegan sent more people to The Endless Meal in October that Tastespotting did. Thanks, Finding Vegan! Also, I wanted to let you guys know about …. I decided to team up with Ziplist a few months ago. I have a quick few images to help show you how easy it is to sign up for it in the post Ziplist and Other Announcements. So far they have driven a small amount of traffic this way and I've only made enough to buy a cup of coffee this month from the advertisements shown on my Ziplist page. But … I think that the benefit to my readers of being able to save recipes is enormous and was the driving reason why I decided to team up with them. 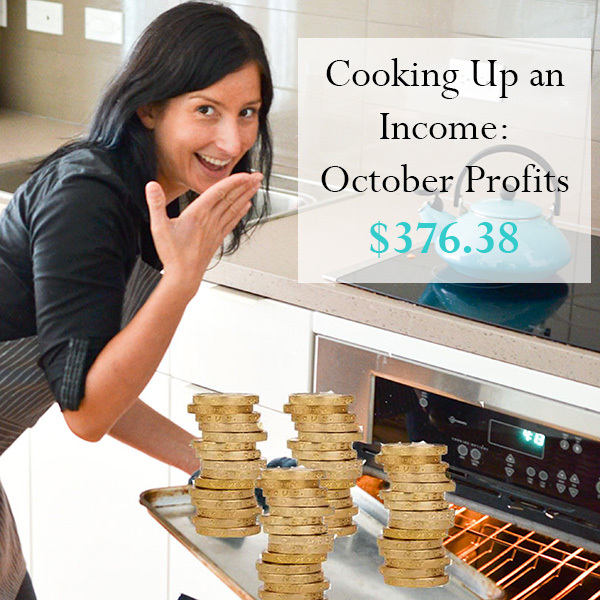 Let me know if you have any questions about this month's Cooking Up an Income Report! Thank you Kristen for this post. Thsnks to your advices I got accepted to FoodGawker. My first recipe got only 6 viewers, a little bit frustrating, because I want have traffic but I know that I have to do a lot of work. It’s very beautiful to see you use infolinks and it is not very aggressive on your website as others. That’s wonderful news that your photo got accepted to Foodgawker! It is frustrating when they don’t get a lot of views. I’ve actually found that has been happening to me more lately on Foodgawker than it used to. I think they get so many submissions now and often when my submissions are accepted they’re shown so many pages down that they just don’t get the same kind of hits as they used to. Thanks so much for reading the Cooking Up an Income Report! Great job! 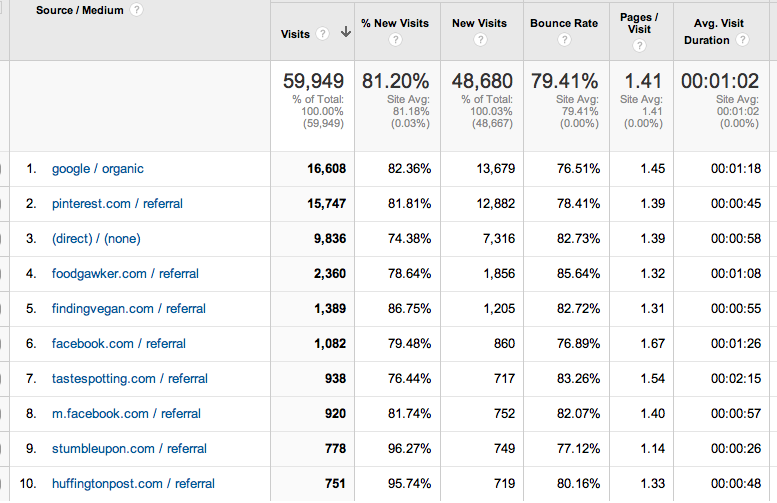 I see google as the # 1 traffic source for you, That’s awesome! Thanks for sharing.